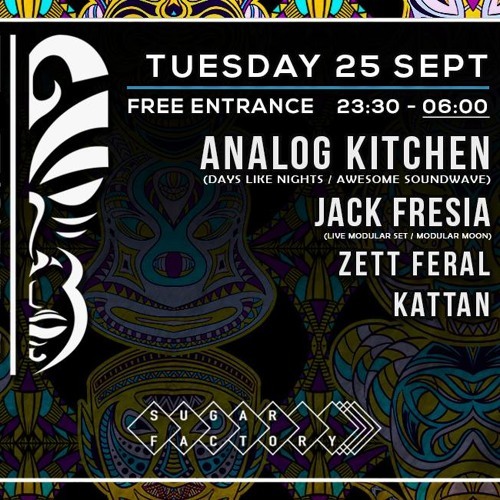 On the 25th of September I made my debut at @TechnoTribeAmsterdam where I embarked on a maiden voyage between Techno, Dub, Electro and Progressive sounds. I don't really like to box myself into any genres but it worked out well. All is done live without the use of laptops. An Akai MPC Live, an Electron Octatrack, a Minitaur, Model D and a Micromonsta all make these noises. If you want some food from the Analog Kitchen, be sure to drop dragan@greensmith.org an email and we might meet at a selected theatre near you. Enjoy. Cool! Check out our profile to get free promotion!